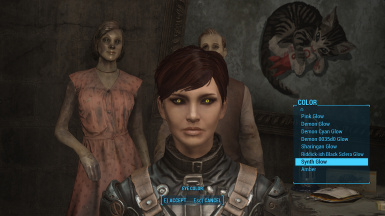 Cute followers - Piper Cait and Curie To get cute eyes. 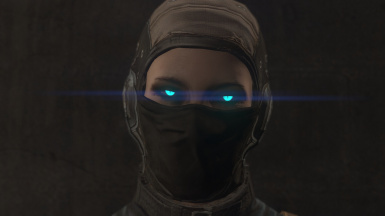 Glow maps based on Xenius' great work. 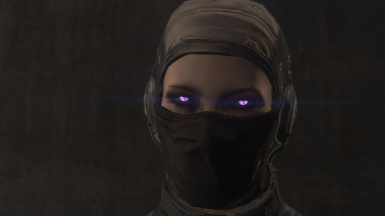 Additional diffuse and glow maps based on work by DrathSamid. Give your PC that touch of FEV. Unpack the archive into your FO4 directory. 1.0a - Removed obsolete master file requirement. 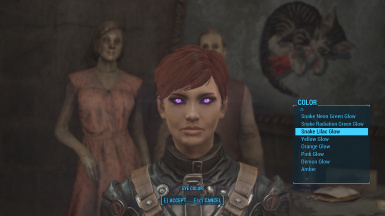 1.1 - Added lilac human eyes. 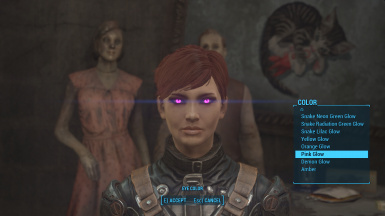 Added snake eyes (yellow, orange, red, pink, cyan). Reduced saturation on blue and red eyes to increase glow map detail. 1.1a - Added needed "*_faceBones.nif" files. 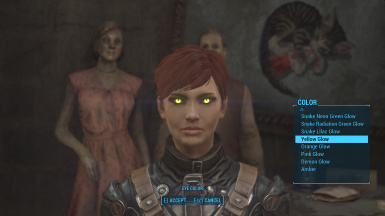 Any weirdly protruding eyes should now be fixed. 1.23 - Added Riddick-ish Eyes Black Sclera. 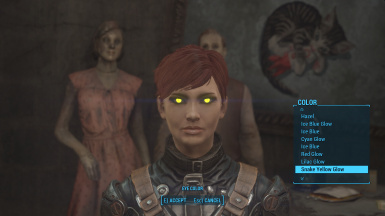 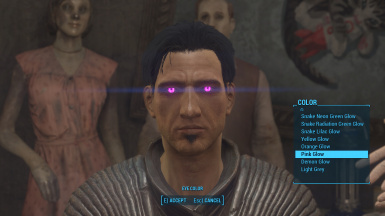 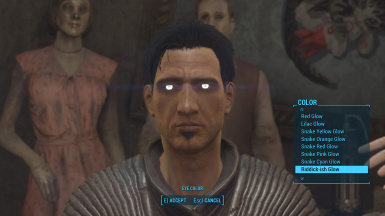 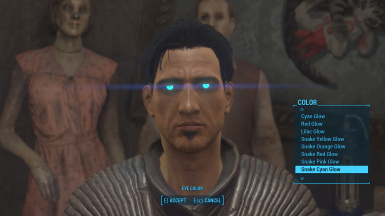 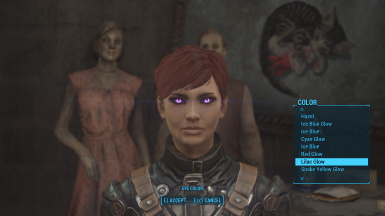 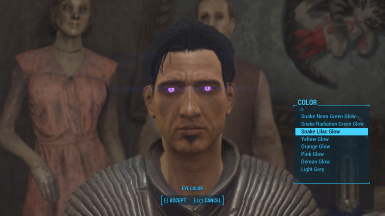 1.24 - Added Synth Eyes. 1.24a - Fixed Synth Eye normal map. No known mod conflicts. If you find any, please let me know.